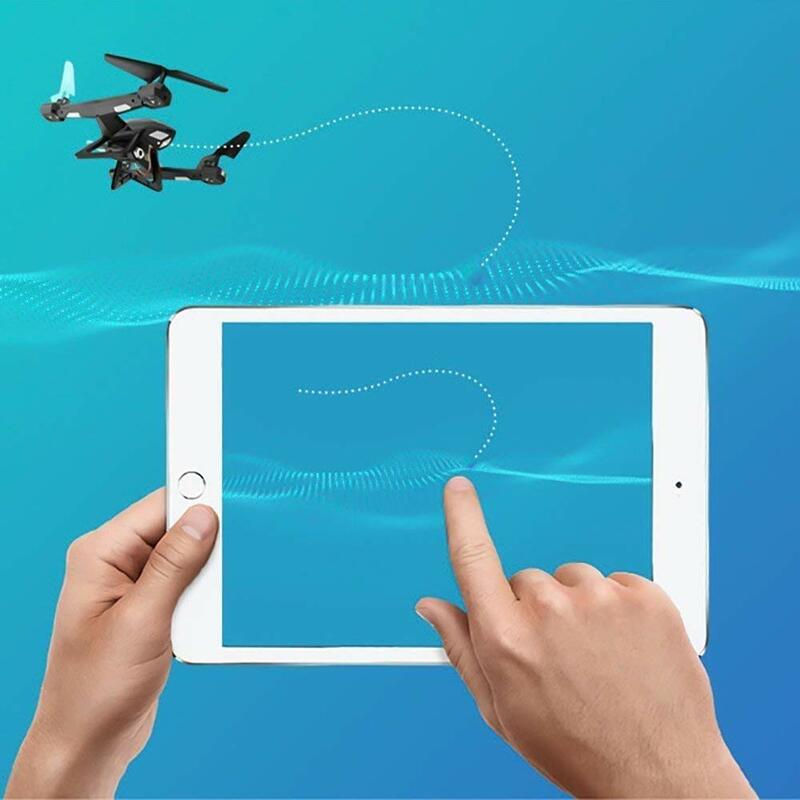 Customize route mode: just download the app on your mobile phone and connect to the wifi drone. 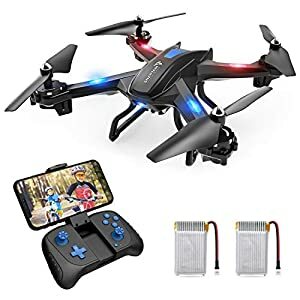 Design your flight path directly on the screen and fly rc drone in all directions according to your desired air route. 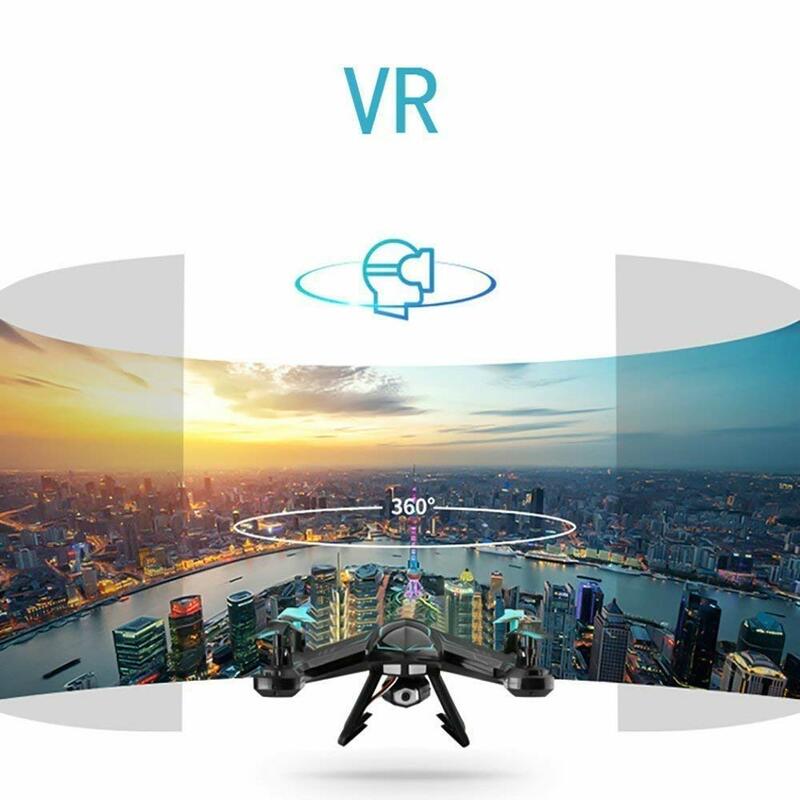 Fpv:you can connect your phone to the drone,the view will be displayed directly on your phone, and enjoy the world above the horizon,put your phone into the vr box or wear vr glasses to experience a different perspective. 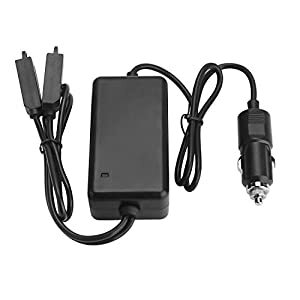 (not included). Exclusive H styling design to attract you,in the night sky you can also find the drone,let you experience the infinite pleasure. 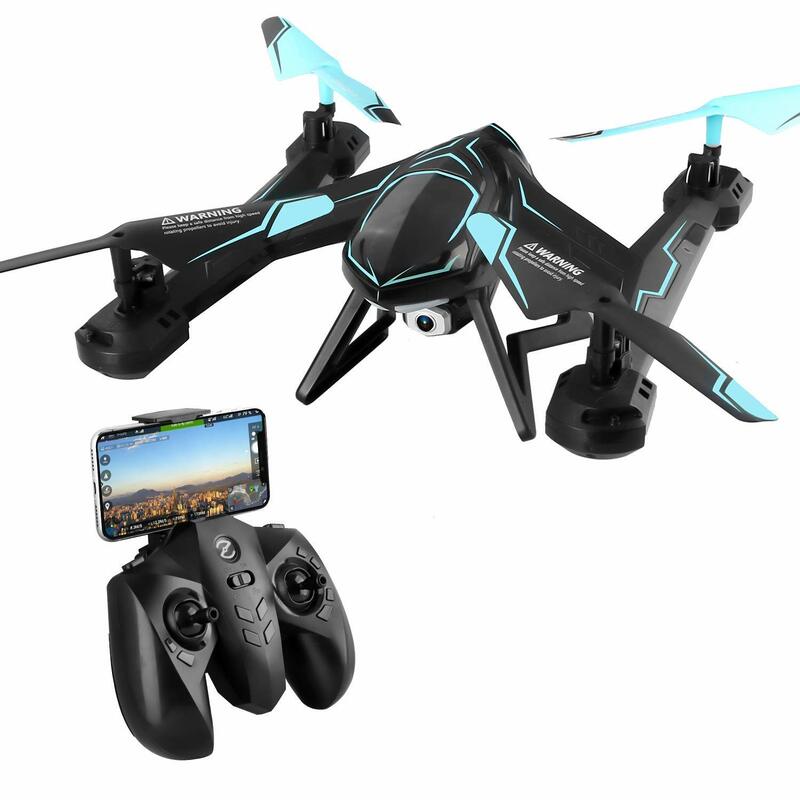 Features: FPV real-time transmission:drone allows to take pictures and videos and transmit them to the phone in real time via the FPV software to experience the first visual flight experience. 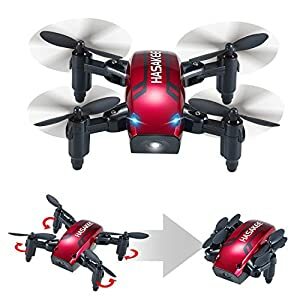 Headless mode: the drone automatically identifies the direction of the remote control in which the drone flew further away and can be recalled easily. 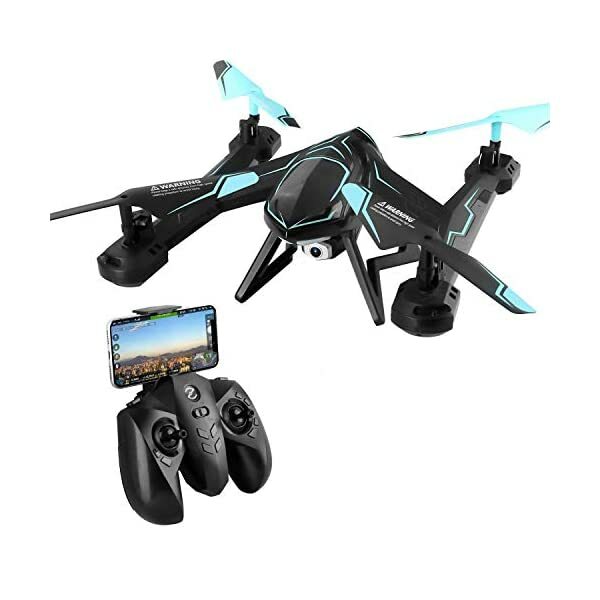 Using four-axis motor drive,it can complete easily a variety of flight action. 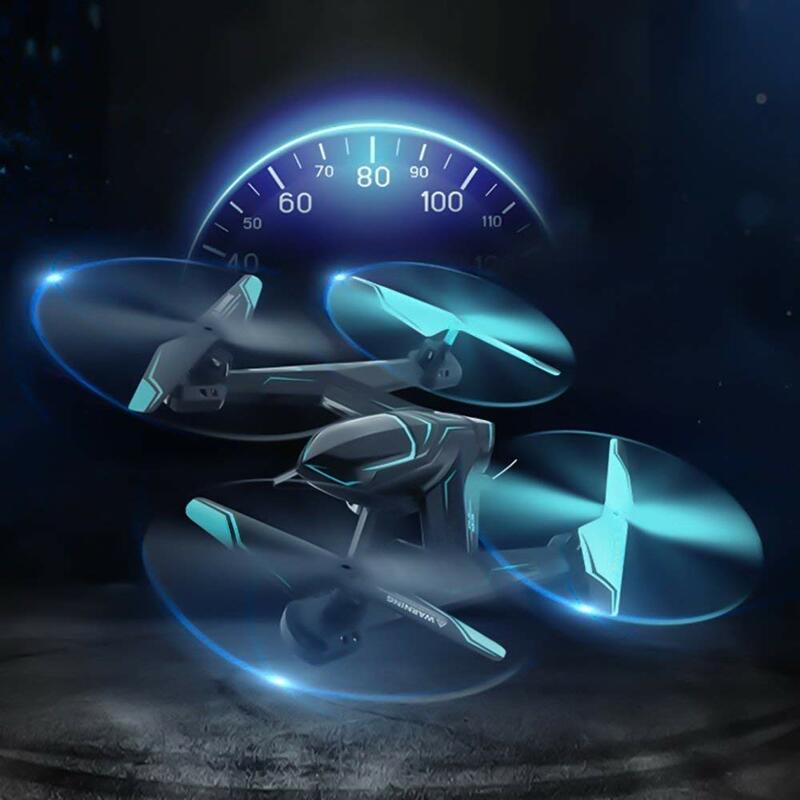 The latest 6-axis gyroscope flight control system to make the drone more stable, built-in three-axis accelerator is sensitive to the three-dimensional space can be accelerated in three directions. 3D roll or one key roll Specification: Protective material:ABS Drone battery:550 mAh Li-po battery Charging time:about 100 minutes (USB Charging) Flying time: about 8-9 minutes Control distance: about 100 meters Support mobile device:IOS / Android system Control Channels:4 Channels Remote Type:Radio Control and Wifi Control Frequency:2.4GHz Gyroscope:6- axis Light:night lights Product dimension: 12*12*3.5IN Package dimension: 19.6*12*3.5IN Product weight: 1.98LB Package weight: 2LB Package included: 1* 4-axis drone 1*2.4GHZ remote controller 1*HD camera 1*lithium battery 1*USB charger 1*Screwdriver 1*Manual 4*Propeller Kind notice: This FPV quadcopter only fit for age above 14+ experienced users.Before assemble the drone,please read the user manual first to know the assembling procedure and how to operate it. 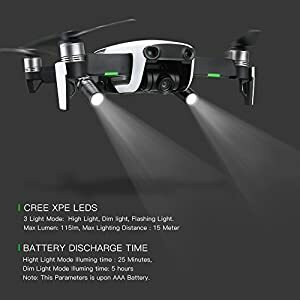 Funcation:Flight Path/360-degree rolling over/headless mode/led lights/one key automatic return/altitude hold/fpv/vr/gravity sensing mode/speed mode.